It’s a sad story. Bradbury Ferguson (1801-1853) a hatter from Exeter, New Hampshire was my Grandfather’s Great Grandfather. Not much is known about his origins but it was known that he had a tendency to drink ardent spirits to excess. 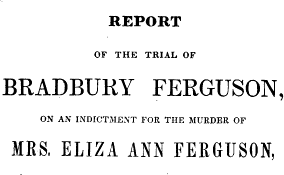 In the early hours of the 1st October 1840 in his New Hampshire home after a night of drinking he shot and mortally wounded his wife, Elizabeth Ann, who died shortly after. He was arrested and spent the rest of his life in the New Hampshire State Penitentiary where he eventually died. We know a lot about the details of this murder because it happened at a time when there was a lot of debate in the USA as to whether or not capital punishment was a deterrent to crime. The entire court case was published into a book in 1841 and is still in print in a textbook for law students. This book is also available to view free online. In 1837 the New Hampshire State Legislature passed a bill defining what type of murder required the death penalty (murder in the first degree) and gave jury members the right to opt out of jury duty if they conscientiously objected to sentencing someone to death. The ‘anti gallows movement’ was nationwide in the US at this time. The Reverend Arthur Caverno gave a sermon in New Hampshire in 1835 calling for the abolition of capital punishment arguing that it was not a deterrent to crime, innocent people were occasionally mistakenly executed and it was morally wrong for a Christian to condemn other person to death. My ancestor’s murder provided a test case for these new laws. The jury found Bradbury Ferguson guilty of murder in the second degree and he was sentenced to solitary confinement for 2 years and hard labour in the State penitentiary for the rest of his natural life. The deliberations by the prosecution, the defence and the judge in the court transcript are interesting to read and provide a great summary of the arguments for and against capital punishment. The arguments seem as relevant today as they were in 1840. We can only imagine how this all affected his 6 children. The two eldest boys John 13 yrs and William 11 yrs were mentioned in the trial and John was called to give testimony. There had been many years of domestic violence in this family before that fateful night. Some of the details mentioned in the court transcript were truly awful. The younger children like George who was only four at the time probably had no memory of what happened? George’s census forms show differing birthplaces over the years (Maine, Massachusetts, New York). Even his obituary wrongly said his birthplace was Boston. Was he hiding his past or was he not told the full story? After the trial the children were given new surnames by the New Hampshire legislature. They all took their mother’s maiden name Frothingham to protect their privacy and they were found new homes. John, my ancestor, went straight to boarding school at Phillips Exeter Academy nearby. William, George , Eliza and Ann, and I assume Mary, were shipped off to Gray Maine where most of them are found living with a farmer named Nathan Foster and his wife Betsey in the 1850 census. George Edward Frothingham (1836-1900) went to Phillips Andover Academy and later graduated from the University of Michigan eventually becoming a renown opthamologist in the US based in Detroit. 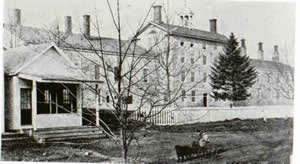 William Augustus Frothingham (1829-1896) became co-owner of a shoe manufactory in South Paris Maine, William A. Frothingham & Co. and a leading businessman and selectman of that town. John Bradbury Frothingham (1828-1881), my ancestor, was trained as an engineer. 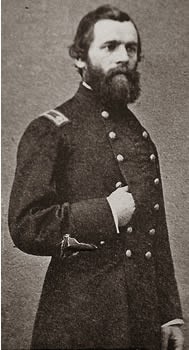 During the American Civil War he enlisted as a major in Ohio and shortly after was commissioned as a Lieutenant Colonel , additional Aide De Camp by General George E Wool whose last act before he retired in 1863 was to quell the ‘draft riots’ in New York City. This was a particularly dark event in US history as you might know. John was mainly associated with the West Virginian 6th infantry. There is a lot more of his story yet to be discovered. John resigned 5 weeks prior to Robert E Lee’s surrender in 1865. Shortly after the war he was an aid to Congressman James Monroe Ashley and accompanied him on a couple of visits to Utah to meet Brigham Young (Head of the Morman Church). Ashley was Chairman of of the House Committee on Territories and Utah was still a territory then. There is an account of the second visit, hand written by John Frothingham, which is viewable online. John was the eldest child who had confronted his father on the night of his mother’s murder asked him what he had done and went to his neighbours for help. It was young John’s hunting rifle, loaded for killing squirrels and rabbits that was used as the murder weapon. It’s not sure how the trauma of this night affected him but his life was a troubled one. 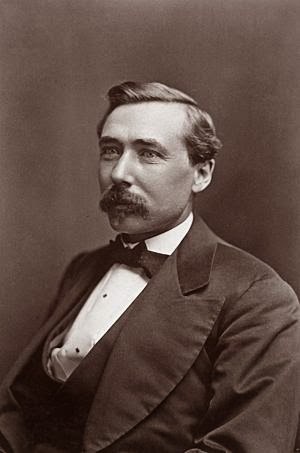 After serving as with distinction as an officer in the Union Army during the American Civil War, He worked as a civil engineer and lawyer and at one time nominated for appraiser of the Port of New York. 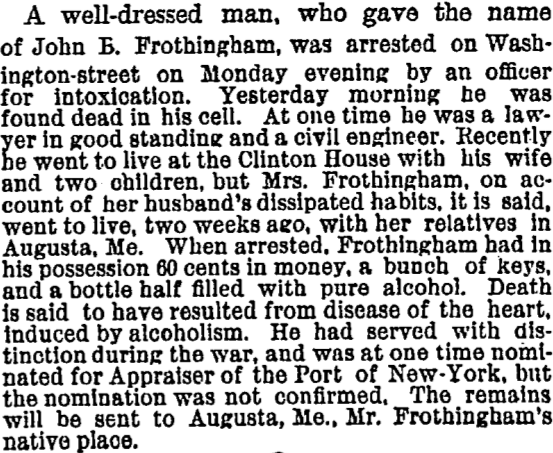 In 1881 he was arrested for intoxication on the streets of Brooklyn and he died in police cells that same night from disease of the heart induced by alcoholism. He had been estranged from his wife and daughter (my grandfather’s mother) for a short time before that. My family owns a letter of reference from a Christian Minister vouching that he ‘is not addicted to the use of spirituous liquors’. To me illustrating how much his drinking had become a problem. Of the three daughters Eliza Ann married a farmer Bradbury Whittier from Gray, Maine, Mary Caroline married a day labourer Thomas Folsom in New Hampshire, who was killed in the Civil War, and I can find no record of what happened to Ann Matilda Frothingham.